The U. S. Occupational Safety and Health Administration (OSHA), an agency of the U. S. Department of Labor, issued a directive via the Combustible Dust National Emphasis Program (CD NEP) on October 18, 2007 (CPL 03-00-006) to inspect facilities that generate or handle combustible dusts which pose a deflagration or other fire hazard when suspended in air or some other oxidizing medium over a range of concentrations, regardless of particle size or shape. OSHA reissued the directive on CD NEP (CPL 03-00-008) on March 11, 2008 as a result of a disastrous combustible dust explosion at the Imperial Sugar Refinery in Port Wentworth, Georgia on February 7, 2008. 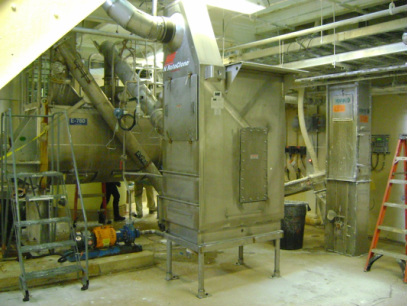 OSHA intensified the CD NEP to increase its enforcement activities and to focus on specific industry groups that have experienced either frequent combustible dust incidents or combustible dust incidents with catastrophic consequences. According to NFPA 654, combustible dust is defined as a finely divided combustible particulate solid that presents a flash fire hazard or explosion hazard when suspended in air or the process-specific oxidizing medium over a range of concentrations. 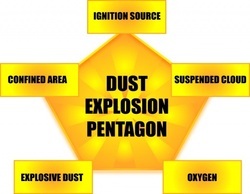 Common combustible dusts include metal dust (such as aluminum and magnesium), wood dust, coal dust, plastic dust, and organic dust (such as sugar, cocoa bean, flour, paper, soap, and dried blood). Under the guidance of the CD NEP, OSHA inspectors have targeted certain industries that handle combustible dusts, including agriculture, food products, chemicals, textiles, and pharmaceuticals, among others. During a CD NEP site visit, an OSHA inspection team will walk-through an entire manufacturing facility, and place intense focus on systems that handle or generate combustible dust. Key focus areas during a CD NEP inspection are existing methods of explosion prevention and mitigation, visible indicators of dust accumulation, performance of dust collection systems, use of personal protective equipment, and sources of ignition. If the results of a site inspection reveal that a facility has violated any of the technical standards that form the basis of the CD NEP, OSHA will issue one or multiple citations and/or fines. 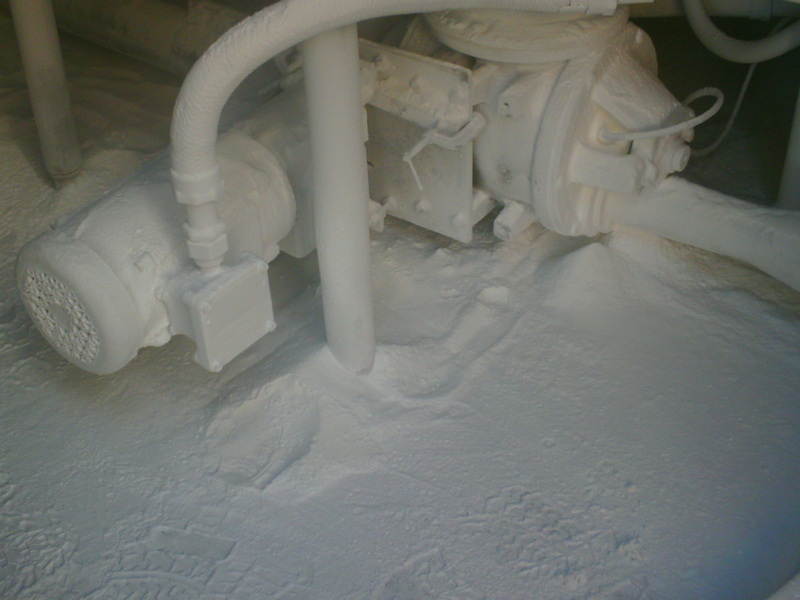 According to the National Fire Protection Association (NFPA), a dust hazard analysis (DHA) is useful in determining the hazards associated with combustible dusts that are stored, handled, or used at a facility, evaluating those hazards, and then implementing appropriate controls based on the likelihood of events and the consequences if the event occurred. Crowley Engineering performs DHAs for clients to establish clarity regarding an OSHA compliance path based on NFPA guidelines. During our DHAs, we: 1) identify any significant combustible dust hazards inside the manufacturing plant, 2) compile a list of possible OSHA violations that might trigger potential citations and/or fines, 3) develop a list of recommendations for remedying existing combustible dust hazards, and 4) prepare a plan of action for short, intermediate, and long-term steps for improving workplace safety regarding management of combustible dust hazards in the manufacturing plant. Clients have commented on the benefits of our DHA process flow matrix which provides color-coded symbol-based designation of specific workplace hazards, prioritizes recommendations, and includes representative implementation costs.